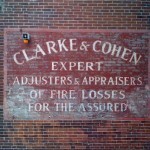 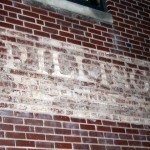 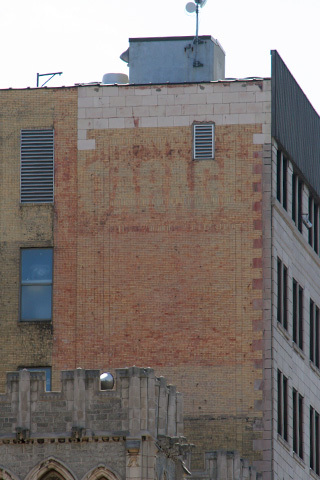 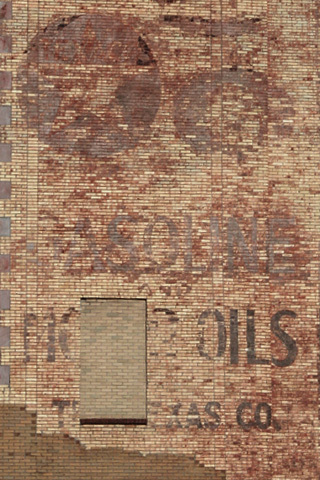 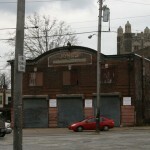 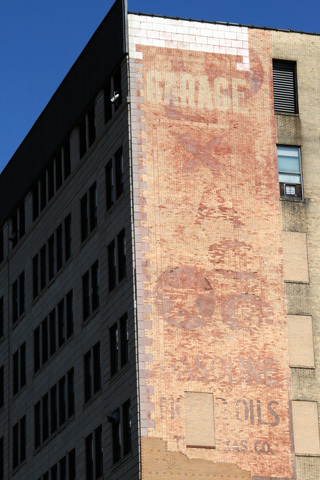 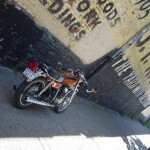 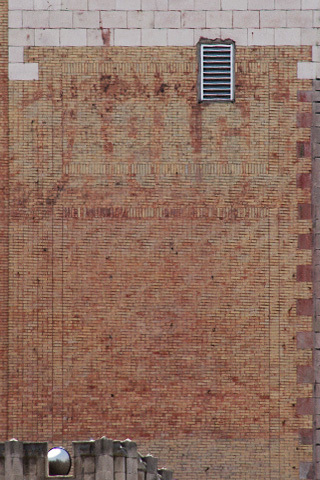 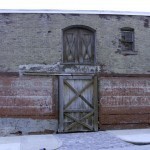 The bright “GARAGE” lettering was in the late 1920s dimensional metal signage that was lighted (see top right corner). 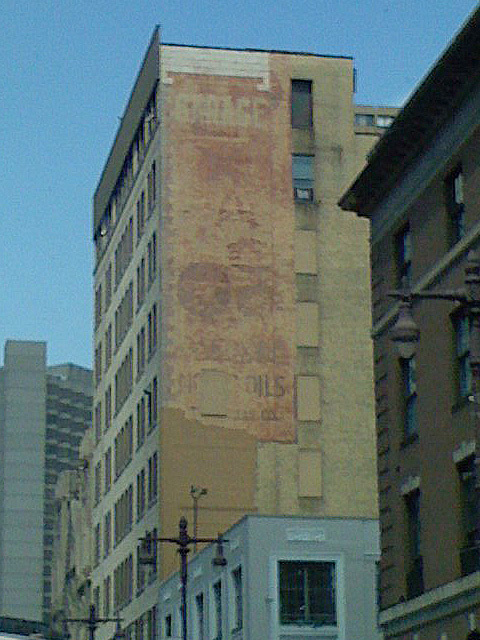 It is hard to tell from these photos if the advertisements were for the tall building to which they are attached, the smaller building next door, or for both. 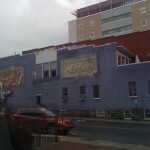 The smaller building is still parking garage.